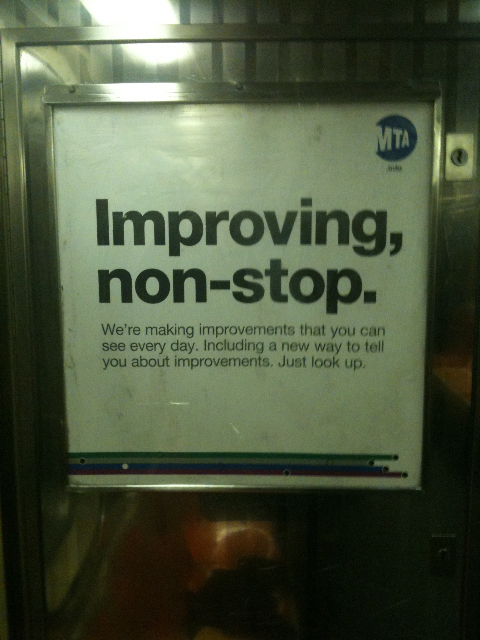 Was the MTA's graphic designer a Public Image fan? Ha! Someone trying to sell my 1st ever Mix CD for $284!! I know its rare but GOOD LUCK! He's right! Blu is the man! 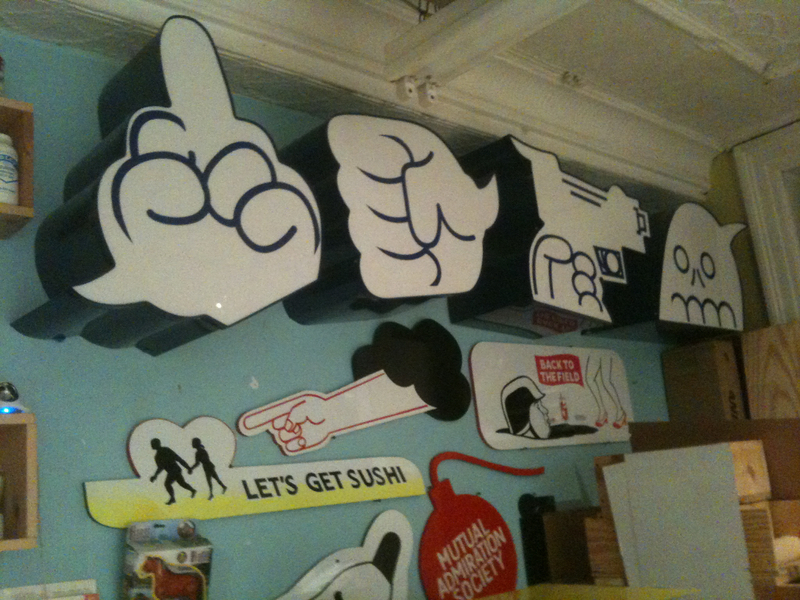 The Blu mural controversy at MOCA is more than just another case of art world censorship. It is proof positive that street art exhibitions in the museum are inherently flawed and full of contradictions. Jeffrey Deitch's soon-to-be blockbuster show "Art in the Streets" and the whitewashed wall mural made this point as clear as day. Deitch, the new L.A. MOCA director, launched a pre-emptive strike on a mural by the Italian street artist Blu that he had commissioned him to paint on the side of the Geffen Contemporary building. 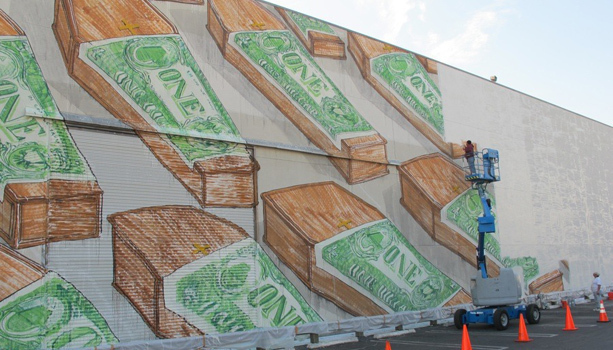 Deitch objected to the content of the mural — a series of coffins draped with dollar bills instead of flags — because he felt that it might upset the museum's immediate neighbors, the Japanese-American community and the veteran community at the L.A. Veterans' Affairs Hospital. Deitch asked Blu to repaint the wall with another image, the artist refused, and an art controversy was born. One might expect that artists in the show would stand firmly in Blu's corner and deride Deitch's rash decision, but the opposite seems to be the case. Passive criticism has been tampered by a parade of artists and cultural producers who have come to the defense of Deitch arguing that "Art in the Streets" is far too important to be derailed by a mural controversy. Shepard Faireyrecently stated in the Los Angeles Times, "I'm not a fan of censorship but that is why I, and many of the other artists of the show, chose to engage in street art for its democracy and lack of bureaucracy." Fairey added the following: "a museum is a different context with different concerns. It would be tragic for the break through of a street art/graffiti show at a respected institution like MOCA to be sabotaged by public outcry over perceived antagonism or insensitivity in Blu's mural." He concluded, "Street art or graffiti purists are welcome to pursue their art on the streets as they always have without censorship. I think that though MOCA wants to honor the cultural impact of the graffiti/street art movement, it only exists in its purist form in the streets from which it arose." The artist has somehow forgotten that he now predominantly shows in bureaucratic museums. More so, he has miraculously come to the conclusion that the MOCA show will somehow help the overall cause of street art, instead of just his own art career — as if politicians and police departments from around the country will say, "Thank you MOCA, thank you for putting your stamp of approval on the art form. We now love graffiti. 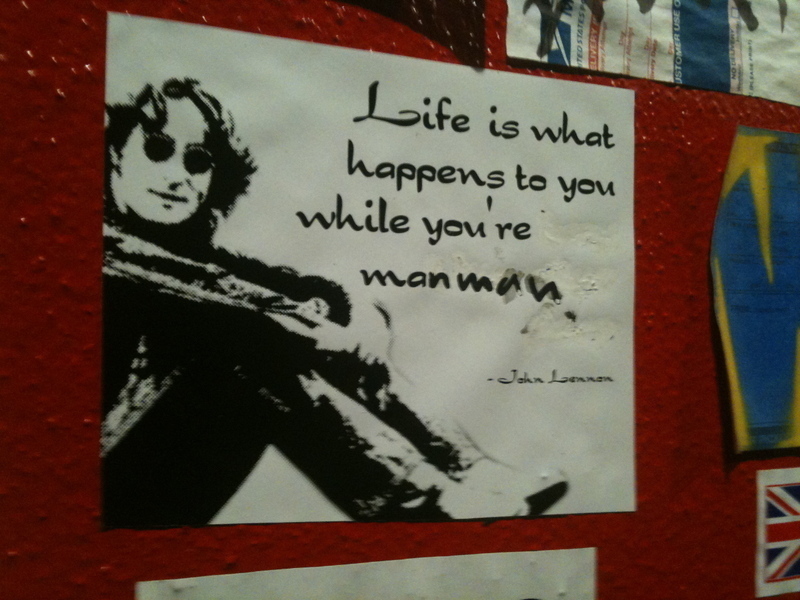 Kids, be free, grab your spray paint and cover the city. Maybe one of you will be the next Banksy and we can develop a tourist strategy around this wonderful art form that we once misunderstood." Fairey is not alone in pronouncing that the show will improve street art's bad rap. Graffiti photographer and chronicler Henry Chalfant tells Hyperallergic: "MOCA couldn't have left the mural there as an affront to the community who considered it sacred ground, and who, in no way, were the deserving targets for the mural's powerful message. With street art, context is all-important. I would have loved to see the mural in front of the offices of Halliburton-KBR or on Wall Street, for America's war profiteers to see." Chalfant goes on to conclude: "Losing the mural is sad enough and that misfortune will be compounded if the street art exhibition is canceled because the artists drop out to express their outrage. That would be self-defeating." The misconception here is to think that the veterans were the "targets" of the anti-war mural. Rather, the target is the war. Does Chalfant, and Deitch for that matter, actually believe that all veterans and Japanese Americans are flag-waiving, pro-war patriots? That all Japanese Americans and all veterans think alike — i.e., that they are uncritical of war and easily offended by anti-war art? If anything, the opposite is the case. Veterans are arguably the one segment of the population that is the most vocal about war, especially opposition to war. Organizations like Iraq Veterans Against the War are at the forefront of the anti-war movement. And stereotyping the Japanese American community is just as problematic today as was when FDR and others did it in the 1940s, a mindset that led to internment camps. The issue, however, runs deeper. I would guess that Chalfant and Fairey offer up such a marginal criticism of the MOCA censorship issue because they do not want to upset the power brokers of the art world, in this case Deitch. Why play down the criticism? Because Deitch holds the keys to what many street-art stars want: an invitation to be part of "Art in the Streets." This hat-in-hand goal runs counter to what street art was built upon: rebellion, subculture, transgressions, and railing against power, privilege, and private property. 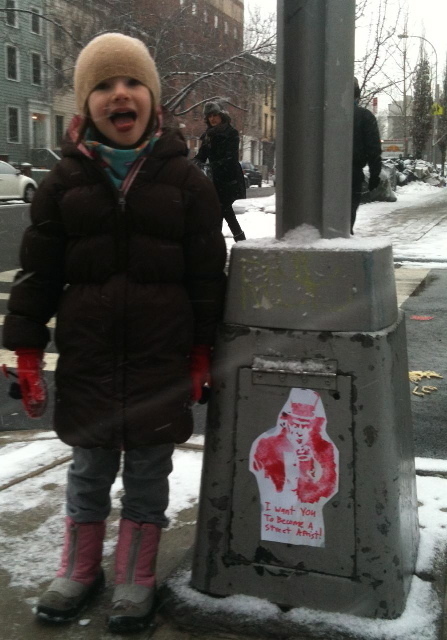 Today, many of the highly visible street artists have gone mainstream. Corporations hire street artists to paint billboard advertisements. 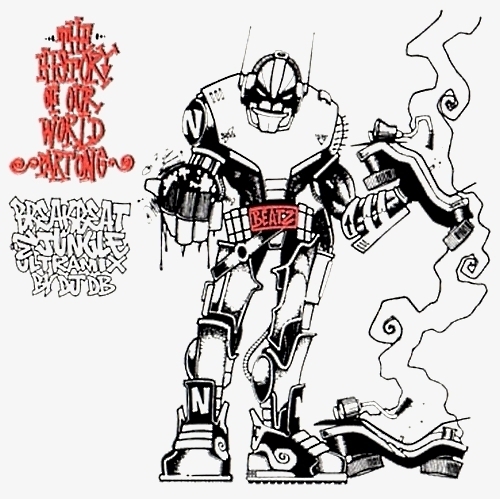 Street artists have their own merchandise lines with mass produced t-shirts, hoodies, and skateboards that are churned out of the sweatshops of China and the Global South. Shepard Fairey's images could be seen wheat-pasted all over Pittsburgh in 2009... to promote his museum show at the Warhol. In the U.K., workers employed to clean up graffiti by the Network Rail are instructed not to remove Banksy's stencils because it might negatively impact tourism. Lost in the new rules of the street-art career path and individual branding is dissent and social justice. I would be shocked if "Art in the Streets" reaches beyond anything but a gala celebration of the genre. An ominous sign is the name of the show itself, which ideally should have been titled "Street Art in the Museum." That name alone might have suggested a more critical exhibition, one that would take a careful look at street art and its history and ask the tough questions. For starters, what happens when a subculture gets too cozy with the brokers of mass cultural and economic power, be it street artists showing in major museums or designing products for corporations? What happens when a genre becomes represented by two polar extremes — celebrated art-world stars and taggers who are viewed as criminals and vandals? Look at the Banksy phenomenon. Bansky's work fetches prices of a half million dollars in auction houses, and when he — or one his team of assistants — illegally spray paints a stencil on a city wall, the action is celebrated and valued as art. Conversely, when a teenager from Chicago does the same type of work, he or she can expect a felony charge and public scorn. These types of questions are unlikely to be emphasized in a show that parades the who's who in street art from a handful of the genre's capitals. Perhaps the curators will prove me wrong and provide some pleasant surprises. Blu started the show off on a high note with a thought-provoking work that invited the public to think more critically about the impact of war. However, the erasure of his mural is a bad omen, foreshadowing an exhibit that is likely to simply mirror American society today: divided, distracted, uncritical, star-struck, and lost in consumer culture — including street art consumer culture. Nicolas Lampert is an artist and a writer who works collectively with the Justseeds Artists’ Cooperative. A longer version of this essay appears on the Justseeds blog, along with many other writings on political art, street art, and printmaking. 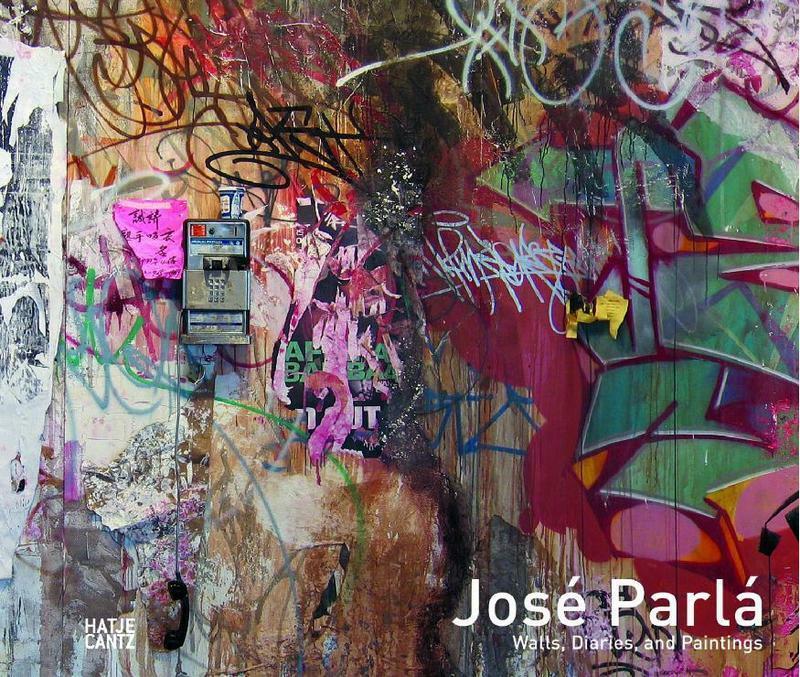 My good friends José Parlá & his bro Rey drop a super cool new book. 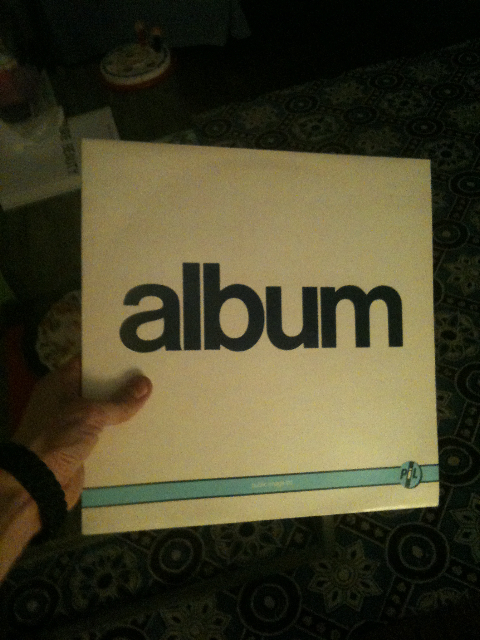 BEST STUDIO VISIT OF 2010! On the last day of the year, I got to visit one of my favorite artists ever - Steve ESPO Powers, give him his copy of "Stickers", thank him for all his amazing help with the book & I even donated some funds to Mark Surface Intl. & came away with a super fresh little piece of art for our home collection! 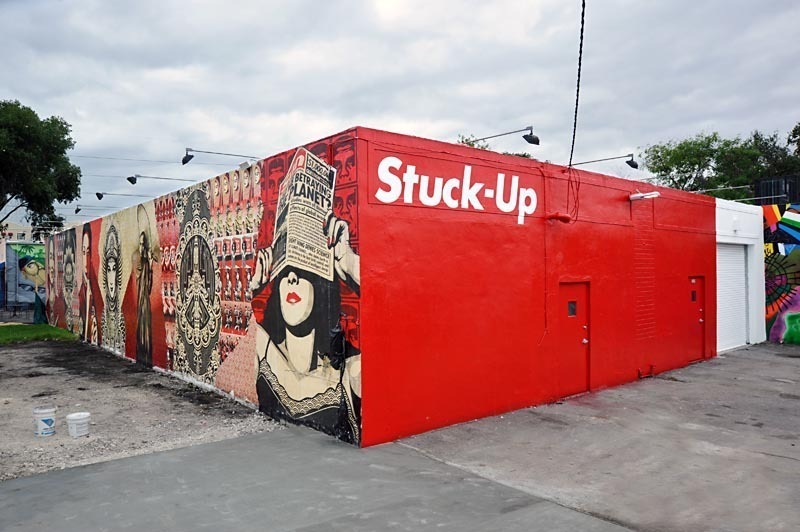 Full story of SURE's death from his best friend & partner-in-crime FAUST below, via my good friend Jeffs amazing site..
MIAMI ART BASEL STICKER CRAZY Pt 1! 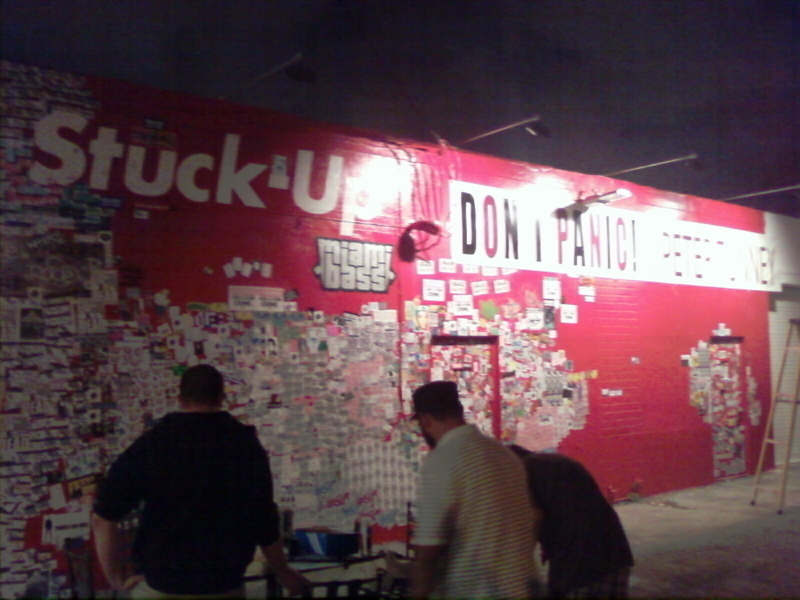 The Wynwood "Stuck-Up" Wall at 2pm on Thur. 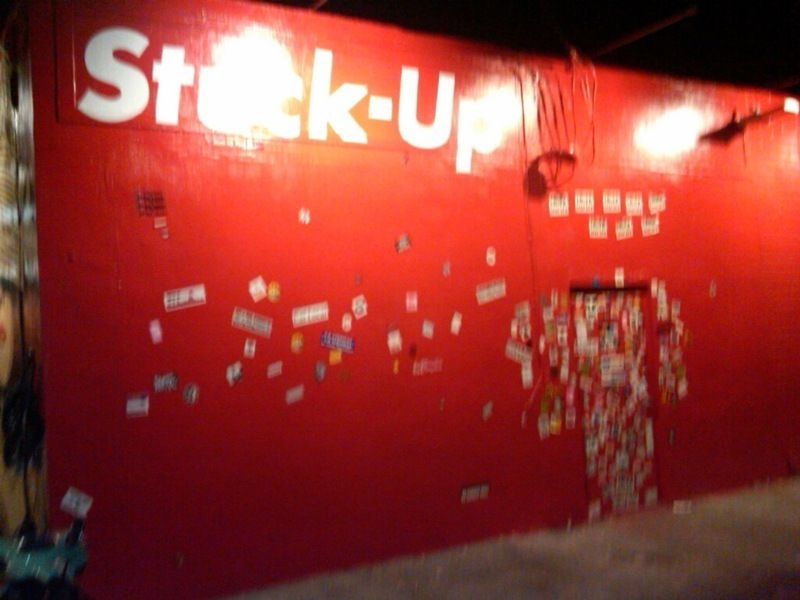 Day 1 of our Stuck-Up wall. Part of the Wynwood Walls Project. 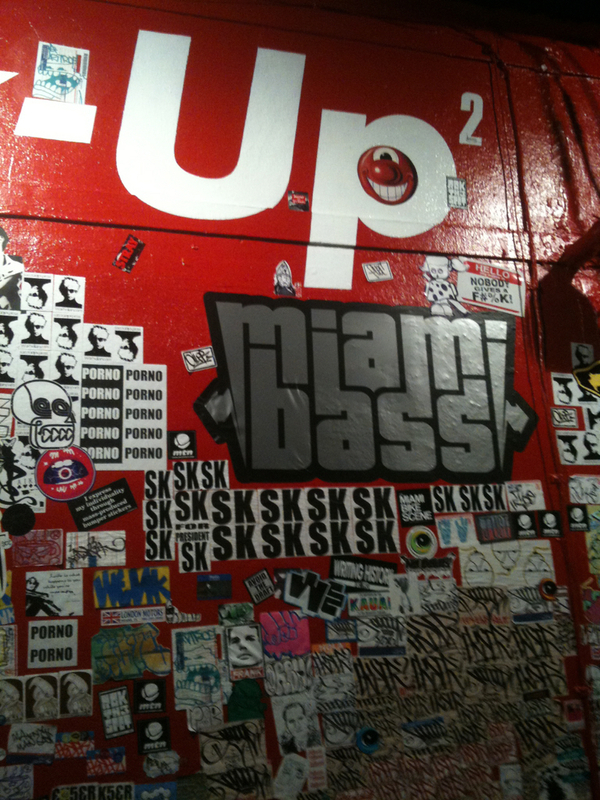 1st EVER PERMANENT STICKER WALL in MIAMI!